Hey friends! I’m so excited to be able to share this holiday gift guide with you guys! The holidays are a great time to give to those who mean the most to you. I personally love being able to get out into the mess of holiday shopping & get things that I know my friends and family will love. I broke it down into a few different categories based off who you’re shopping for: the foodie, the best friend, the workout gal, the momma, the man in your life, & the person who never knows what to ask for. I hope this is able to help with some of your shopping! & I hope you have the best holidays with those closest to you. Sending lots of love! Happy Shopping! · Air Fryer : There are a lot of air fryers out there, but I love this one from BELLA. · Almond Cow : this is one of my new favorite kitchen gadgets. Making homemade nut milk is sooo easy with this. No straining or anything required with this. You can use ‘onebalancedlife’ for $10 off & free shipping! · Food processor : this is my most used kitchen item & I love it!! There are so many things you can use & make with a food processor. Plus this one is cheap & it does the job! · PB mold : these are my favorite to use when making PB cups! You could make a fun baking package and include these in them! 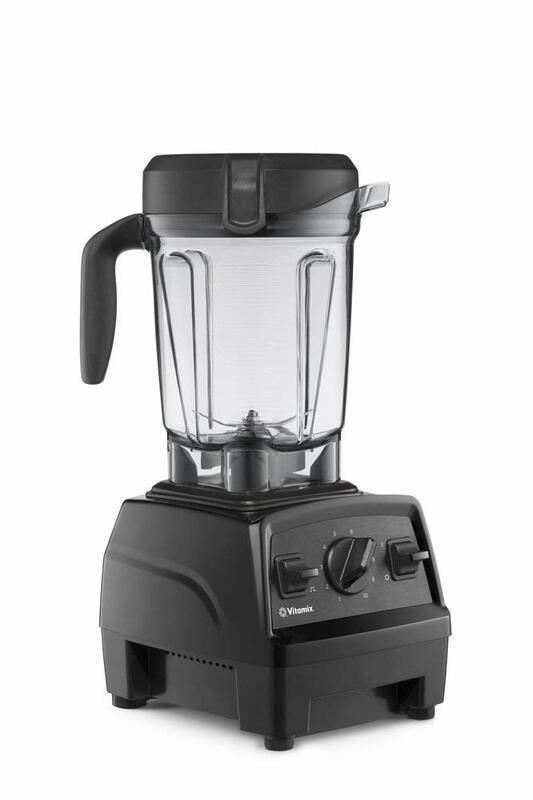 · Vitamix : this is a big purchase but definitely worth it. I use mine every day and love how easy this is to use. · Set of T-fal Pans : if your like me, you would love a good set of pans for Christmas. These have been my favorite non-stick pans & they are also very reasonable!
. Lodge Cast Iron Skillet: I use my skillet all the time & its definitely one of my favorite kitchen items as it makes so many tasty meals!! One of my all time favorites is to just throw it all in and saute everything to make a yummy hash! · Monogram Cheese Board : everyone loves a good cheese board & I love this one! So cute with the monogram. Perfect for someone that loves hosting & pair it with some wine and your set! · Coco kind sticks : You know how much I love these and they are my favorite for traveling & just putting on my face every day. If your friend loves that kind of stuff, she will love these. They would also be a perfect stocking stuffer! · Diffuser: You really can’t go wrong with having a diffuser in your home. I love choosing a scent to put in mine and just leaving it on throughout the day. It’s very soothing. Definitely something that everyone can use!
. Beanie : this time of year, everyone needs a good beanie! And I love how fun this one is. · Mantra Bracelet : I love these as a simple reminder to look down at. I wore mine everyday & I gifted these to my best friends and they loved them.
. Leather Backpack: obsessed with this & perfect for on the go ladies! · Books & Books!! My absolute favorites are Girl, Wash Your Face & You are a badass and I think these are an awesome gift to inspire your gals.
. Earrings from Holy Oak Collections: these are so cute & fun! · Outdoor Voices sports bra & I also love the new tech sweat leggings from OV! These pieces are some of my favorite in my workout gear. They look good & you feel good which is all that matters! · Adidas shoes: these are my all time favorite shoes for the gym! So comfortable and stylish! · Athleta camo pants: these are so fun & so comfortable! I’m very picky with my leggings and they have to fit right in order for me to love them. These are very movable & can be worn from gym to coffee shop! · Running arm band: these are one of those things that you always need to have around. I have a great way of loosing mine. · Brooks Running shoes: my favorite running shoe! I’m a loyal Brooks fan & these are perfect if you’re new to hitting the street or you run a lot of miles! · Robe: I always like to look for things that my mom wouldn’t buy for herself, including a nice robe. I love this one & it looks so cozy! · Anthro candle : go to gift because they smell SO GOOD & how cute are these!? · Scarf: I love pretty scarfs that will go with all outfits! 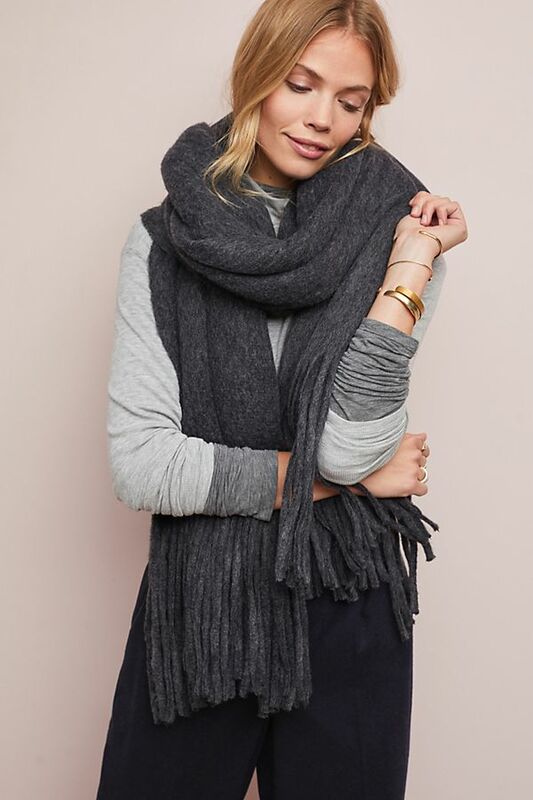 This one from Anthro is thick & cozy!
. Pajamas: You can’t go wrong with a cute pair of PJ’s for a gift. My mom loves her pajamas and I love how simple but comfy these look!
. Stylish Coat: I just got this for myself because I love it so much and I have a feeling my mom will want to steal this from me! So cute! · Away luggage: this luggage is so durable & every guy needs a good piece of luggage. · Spotify membership: paying for a monthly membership is something that adds up but you forget about!
. 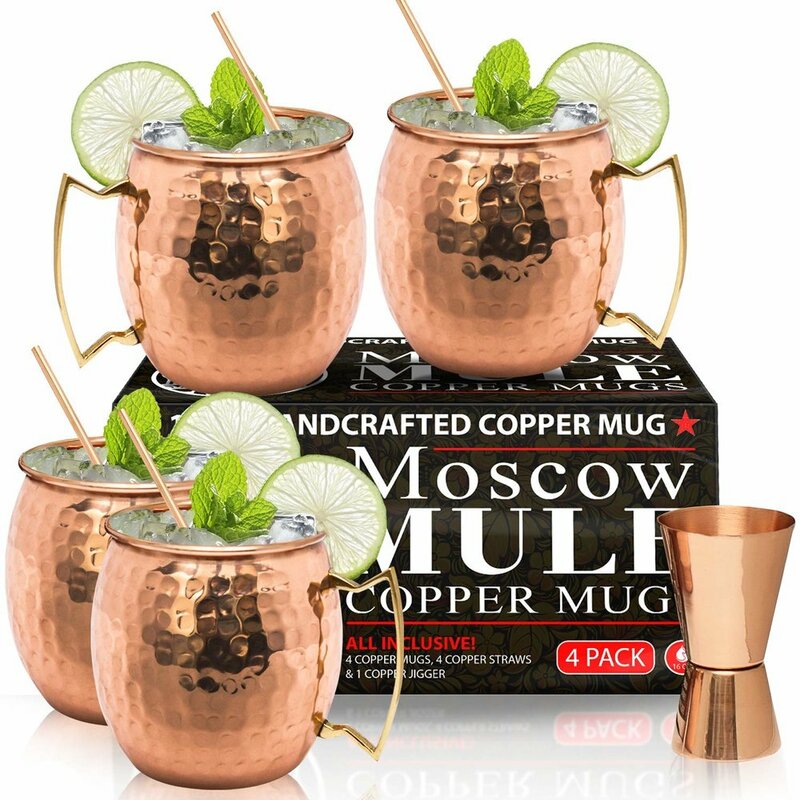 Moscow mule mugs: everyone loves a good Moscow mule & even better when they are out of these fun glasses. Get these to add to the bar!
. Fun socks: you really can’t go wrong with some fun socks! · Blanket: you can’t go wrong with a cozy blanket. Ultimate snuggle necessity. · Guacamole maker﻿: love these for the fellow guacamole lovers! Great item if you like to host parties, etc.
. Stasher Bags: a perfect stocking stuffer or just buy a variety pack because these things are the best! !